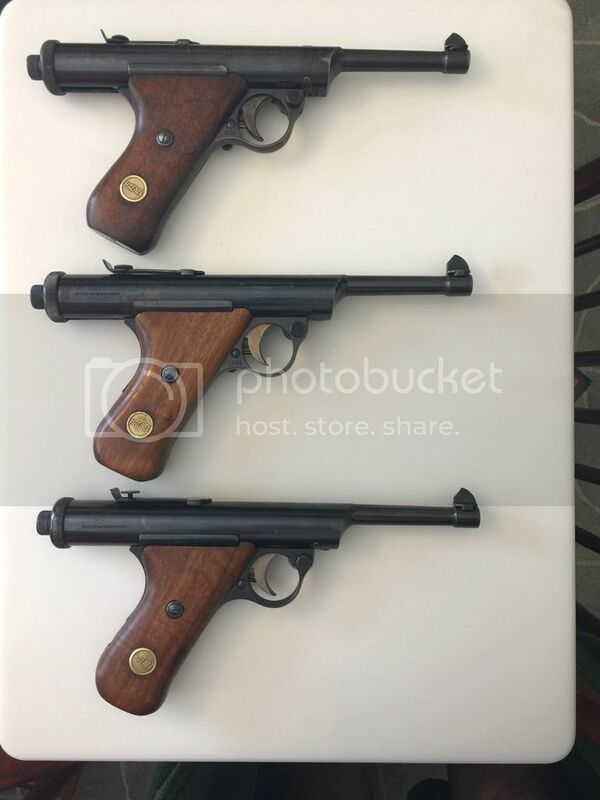 New to collecting I purchased a as new Hy-Score earlier this year and it opened me up to the world of these old school blued firearmlike pistols. Read Andrew Lawrence's paper on how he developed it. Ended up buying pistols of this era. Saw few Utubes on this era, ended up making three Utubes; the Haenel 28R, the Targ-Aire, and the Hy-Score. Great fun. You have been collecting just a few more years than me, lol! My goal is to find a short barrel with multiple barrels, I should live so long. A pinned one would be a little too much to ask for. I say I want one but they really make little sense to me the long barrel just seems more logical. The English version to me is the holy grail. In the USA I have no shot in New Zealand you have a chance. Thanks, just picked up two more 28-Rs since video! All in less than 6 months. The one in the video is the best of the three. Got two .177 and one .22.